Length Info: The length of this program is 75 minutes. Location info: The performance takes place at Belding Theater, Bushnell Center for the Performing Arts, 166 Capitol Avenue, Hartford. 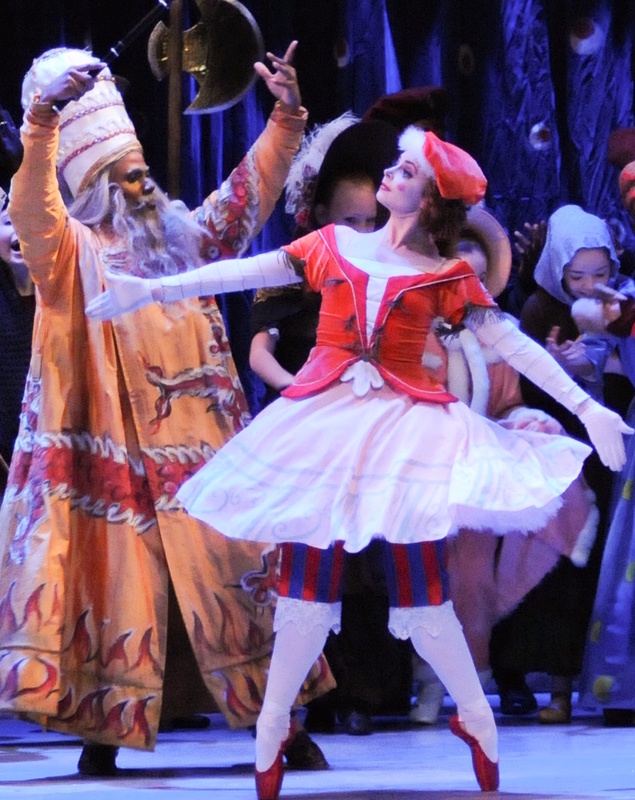 Materials Arts Provider Provides: Connecticut Ballet provides a Curricular Guide for Teachers specific to each 'Share the Magic' offering. Materials School Provides: Each school is responsible for transportation to and from The Bushnell. Program Learning Objective: I CAN identify the ways in which the dancers and choreographer collaborate to create a narrative story ballet. I CAN better understand the creative process of expressing emotions and story lines using the human body and gestures from everyday life. Program Description (Grade Level Program): Now in its tenth season, the 'Share the Magic' performance attended by students in grades two, three, and four follows the same format: a fully-professional ballet performance condensed to 75 minutes. 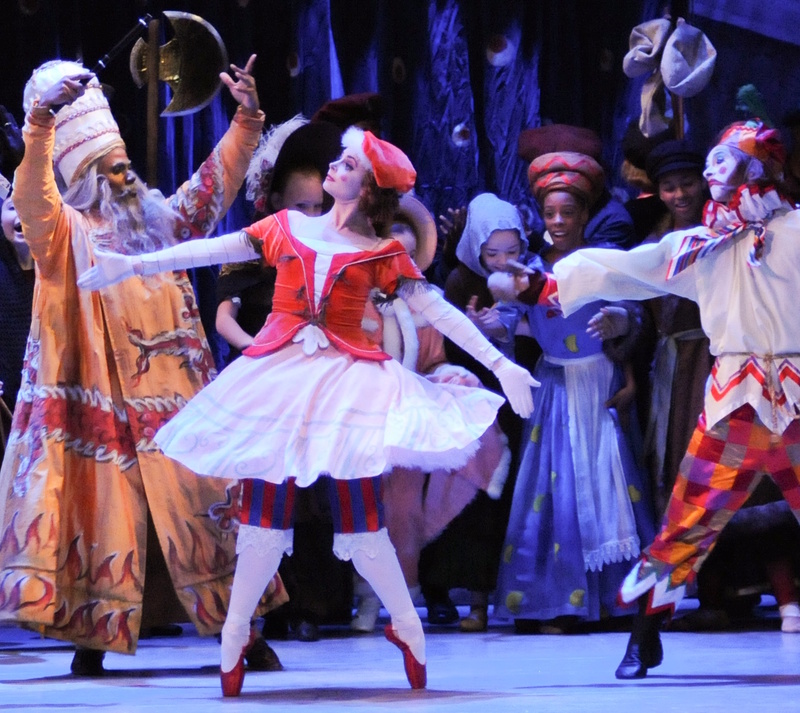 The narration by Artistic Director Brett Raphael describes the characters in the story ballet and dancers demonstrate their individual movements and relationships within the plot. Students are asked to stand in their places and try certain movements or gestures to connect kinesthetically with the dance art. Students are taken through the creative process of making the ballet including introductions to the lighting designer, costume designer, ballet mistress, stagehands, and rehearsal assistants, all of whom collaborate to create a seamless whole. Finally, the entire work is performed. At the close, students and educators as questions of principal dancers about being a full-time professional dancer and different aspects of the ballets on view. Grade 2: Reading Standards for Literature: Integration of Knowledge and Ideas #9: Compare and contrast two or more versions of the same story (e.g., Cinderella stories) by different authors or from different cultures. Grade 2: Dance: Connecting: Anchor Standard 10: Synthesize and relate knowledge and personal experiences to make art. b. Respond to a dance work using an inquiry-based set of questions (for example, See, Think, Wonder). Create movement using ideas from responses and explain how certain movements express a specific idea. Grade 3: Reading Standards for Literature: Key Ideas and Details #2: Recount stories, including fables, folktales, and myths from diverse cultures; determine the central message, lesson, or moral and explain how it is conveyed through key details in the text. Grade 3: Dance: Connecting: Anchor Standard 10: Synthesize and relate knowledge and personal experiences to make art. b. Ask and research a question about a key aspect of a dance that communicates a perspective about an issue or event. Explore the key aspect through movement. Share movements and describe how the movements help to remember or discover new qualities in these key aspects. Communicate the new learning in oral, written, or movement form. Grade 4: Reading Standards for Literature: Key Ideas and Details #3: Describe in depth a character, setting, or event in a story or drama, drawing on specific details in the text (e.g., a character’s thoughts, words, or actions). Grade 4: Reading Standards for Literature: Integration of Knowledge and Ideas #7: Make connections between the text of a story or drama and a visual or oral presentation of the text, identifying where each version reflects specific descriptions and directions in the text. Grade 4: Dance: Connecting: Anchor Standard 10: Synthesize and relate knowledge and personal experiences to make art. a.Relate the main idea or content in a dance to other experiences. Explain how the main idea of a dance is similar to or different from one’s own experiences, relationships, ideas or perspectives. Grade 4: Dance: Connecting: Anchor Standard 10: Synthesize and relate knowledge and personal experiences to make art. b. Respond to a dance work using an inquiry-based set of questions (for example, See, Think, Wonder). Create movement using ideas from responses and explain how certain movements express a specific idea.